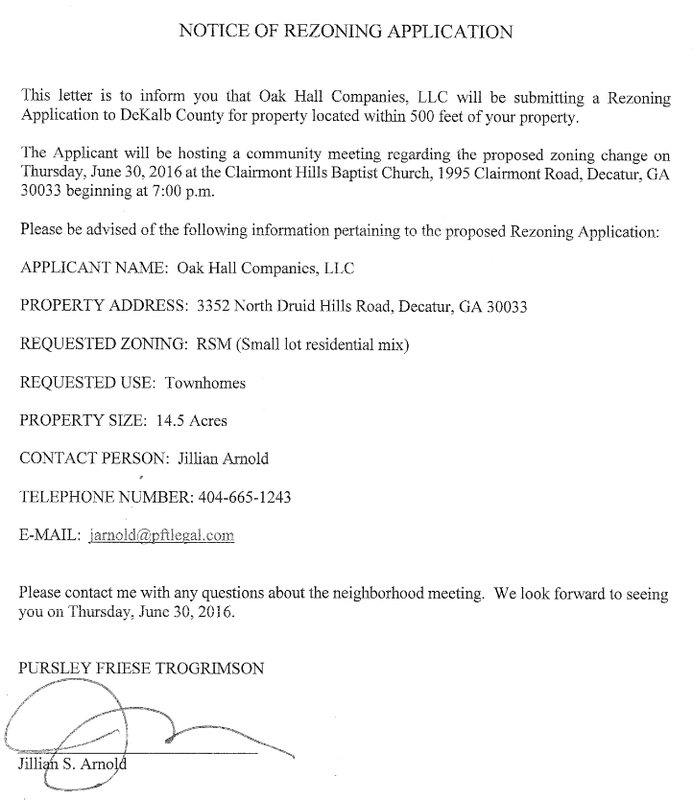 We have been asked to share this announcement for a rezoning application for 3352 North Druid Hills Road (where Grand Slam Golf and Baseball is currently located). 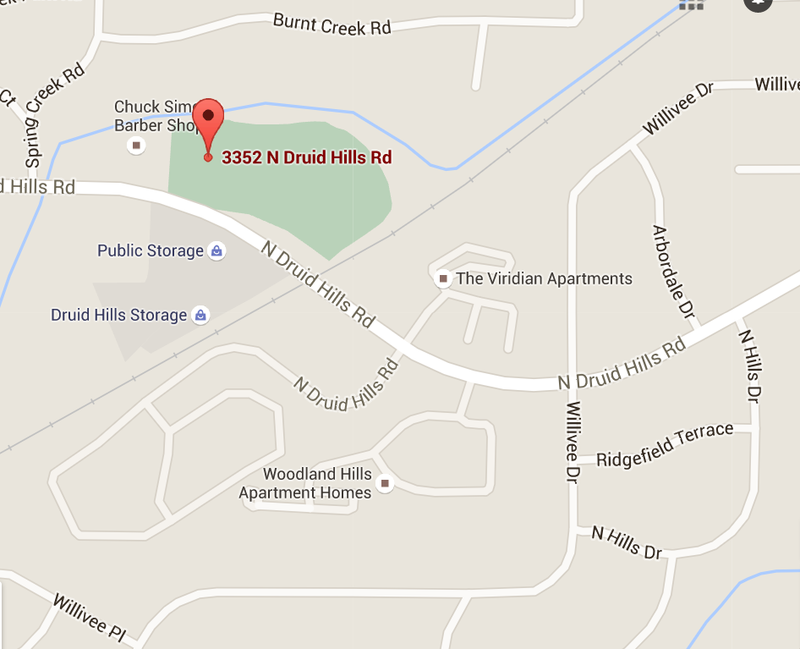 The meeting is scheduled for June 30. See below for meeting details. 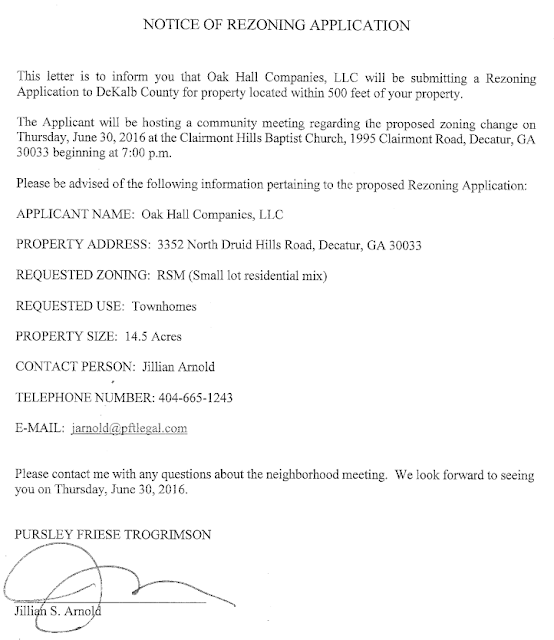 This notice is for the Pre-Submittal Community Meeting, which developers are required to hold before they submit any plans to DeKalb County. •• Scott Blvd. 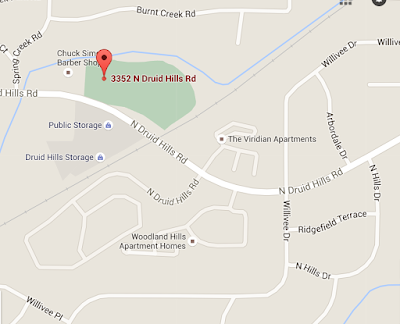 Baptist Church / Fuqua Dvpmt.